We have over 15 years of experience and provide quick, reliable, and economical pool repair services. We are skilled in repairing or replacing all types of major equipment brands. Our pool maintenance services in the metro Atlanta area also include equipment repair and replacement. In this way, we make sure to provide you with long hours of uninterrupted hours of fun. It is a blessing as a pool company to have only knowledgeable and certified personnel. 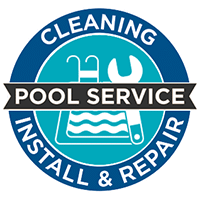 We provide thorough pool equipment diagnostics to spot any potential problems, then we proceed with quick equipment repair before it causes bigger problems. Since we know there is never a good time for pool equipment failure, we keep a proactive approach so that your outdoor fun never gets interrupted. We also do a proper installation of new pool equipment, and we always advise you on equipment updates to improve your ownership experience. Some of the updates we promote are salt water, energy efficient, and dual pump systems. We make sure to replace your pool filters so that your pool water remains clean at every time.